The BT Sport Industry Awards is the most prestigious commercial sports awards in Europe and the industry’s flagship event. This was Stamp's third year as a supporting partner, producing a bespoke film for the event that pays homage to the past 12 months in sport. It is not a film seen commercially, and is only ever played once. The event celebrates the best in the business and attracts sports stars, celebrities and senior figures from across the industry and beyond. In 2017, trophies were awarded in front of 1,700 industry leaders and their guests at a star-studded event at Battersea Evolution in London. Celebrities included Tom Daley, Nico Rosberg, Laura Kenny, Max Whitlock, Wes Morgan, Chris Eubank, David Haye and Jodie Kidd. 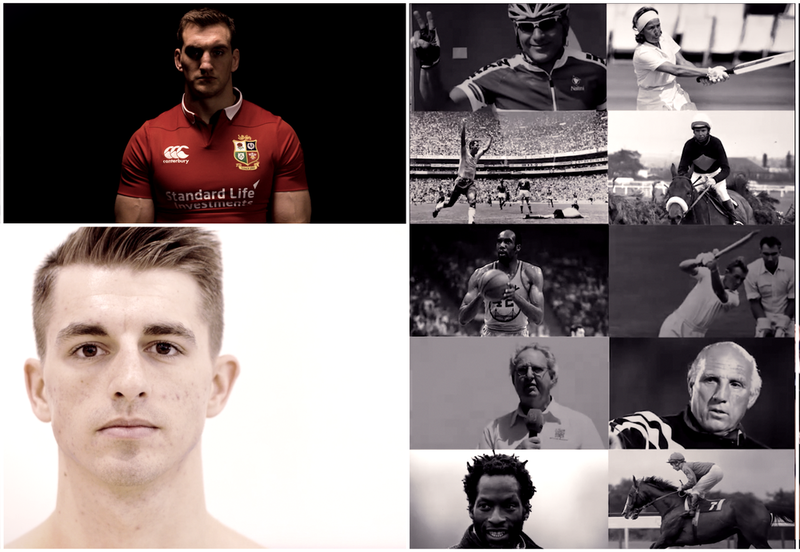 This year we included bespoke, emotive, per recorded footage with some of the 2017's sporting stars, such as gymnast and Olympic double gold medalist Max Whitlock, former bantamweight world champion boxer Carl Frampton, and British & Irish Lions tour captain Sam Warburton, giving the film a more cinematic feel. A more difficult part of the film is paying our respects to those from the sporting world we lost that year; legends such as Baroness Rachael Heyhoe Flint, Muhammed Ali, and tragic deaths of others like the 19 players of the Chapecoense football team. Since it isn't a commercial project, we have a complete carte blanche on both the visual archive we can use and the music. As luxurious as that sounds, it also means that as soon one film has been delivered, the R&D for the next one begins. It is a hugely challenging project, and one that is fine tuned right up to the day of the event so that the film is up to date with the highs and lows of sport from that year. Although we can't show you the finished film, we can show you our overview video of the event. — Alex Coulson, Executive Director, Sport Industry Group.